Former Democratic congressional candidate MJ Hegar is running for U.S. Senate in 2020. Hegar, a former Air Force helicopter pilot, mounted a high-profile bid to unseat U.S. Rep. John Carter, R-Round Rock, in November, fueled by attention-grabbing ads and massive fundraising. She ended up losing by less than 3 percentage points in the traditionally Republican district. In the video, a motorcycle-riding Hegar emphasized Cornyn’s closeness with Senate Majority Leader Mitch McConnell. Through last year, the Texan served as McConnell’s majority whip, making him the second highest-ranking Republican in the Senate. To take on Cornyn, Hegar could face a competitive primary with U.S. Rep. Joaquin Castro of San Antonio, who has said he is considering a run and will make an announcement soon. Another Democratic elected official, Houston City Councilmember Amanda Edwards, has also said she is mulling a campaign. Three mostly lesser-known Democrats are already running: Michael Cooper, Sema Hernandez and Adrian Ocegueda. – Apparently, I’ve been saying MJ Hegar’s name wrong all this time. It’s “Hey-gar”, not “Hee-gar”, as I’ve been intoning it. I guess her pronunciation of her name in the “Doors” video didn’t make an impression on me. – With all the attention that’s been paid to a Joaquin Castro candidacy, you have to wonder if Hegar jumping in before he (apparently) makes up his mind will cause him to reconsider. It’s one thing to give up a safe Congressional seat as a member of the majority party with some seniority for at best a coin flip shot at a Senate seat. It’s a whole ‘nother thing to give it up for a coin flip shot at getting that coin flip shot. I have no idea what Castro wants to do, but not having a clear path to the nomination has to make him recalculate his risk/benefit analysis. – Regardless of whether Castro gets into the race or not, I can’t stress enough the importance of Hegar running a real campaign for the primary. That’s especially true if her only opponents are the no-names currently in the race, plus maybe some others like them. The history of Democrats voting for non-viable candidates in primaries because they have no idea who they’re voting for is long and grisly, and even when it doesn’t lead to the likes of Gene Kelly and Jim Hogan on the November ballot, it far too often leads to embarrassing questions about the lackluster vote totals for the anointed choices. (See: Beto O’ Rourke 2018, Wendy Davis 2014, Rick Noriega 2008, etc etc etc.) I can’t emphasize this enough: MJ Hegar not only needs to start raising money now, she needs to plan to spend a bunch of it between now and March. I don’t care how viral she was in 2018. I guarantee you, she needs to start introducing herself to voters, because she won’t like what happens if the voters don’t know who she is. – I mean, turnout for the Dem primary in 2020 is going to be off the charts. It’s going to make 2008 look antiquated. Texas is going to play a big role in picking the Democratic Presidential nominee. An awful lot of people who are not in CD31 – millions, quite likely – will be voting in March. MJ Hegar needs to make sure they all know her name. This, more than anything else, is the reason why a high-profile, well-funded, contested primary among quality candidates is a good thing and not a bad thing. It’s the surest way to make sure that the voters do know who their candidates are. – On a side note, I have no idea who Plan B is for CD31. Doesn’t mean there isn’t someone out there, but it’s more likely than not that we don’t know who that person is yet. Alternately, CD31 may slide off the top tier pickup list, which would be a shame. I sure hope we find someone who can do half as well at exciting voters in CD31 as Hegar did in 218. – Finally, as a friend said on Facebook, this race needs to be about Donald Trump. Lots of people turned out in 2018 to vote against Donald Trump. We need all of them and about a million more to do it again in 2020. If we do that, MJ Hegar, or Joaquin Castro, maybe even Amanda Edwards, can beat John Cornyn. Mother Jones, Daily Kos, and the Chron have more. Hope for the best, y’all. 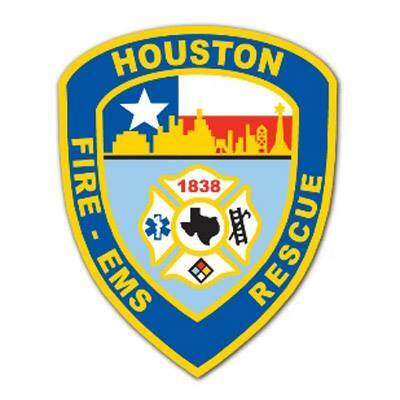 Mediation soon will begin in a lawsuit between the Houston police and firefighters unions over Proposition B, the voter-approved measure that gives firefighters equal pay to police officers. In a Monday morning filing, State District Judge Tanya Garrison ordered the Houston Police Department, Houston Professional Fire Fighters Association and the city to meet Monday or Tuesday. The parties last week agreed to turn to mediator Dave Matthiesen over Prop B, though representatives from the HPFFA said they would need more time to brief members. At a press conference Monday, some members of City Council joined with municipal employees to reiterate their support for mediation and a five-year phase-in. Among the first positions cut will be librarians, dental assistants, custodians, a park ranger and an electrician, District I Councilman Robert Gallegos said. See here for the background. Matthiesen is an attorney and Democratic supporter who is well known to all parties involved, so at least that was easy enough. I don’t envy him the task, but maybe everyone’s ready for this to be over already. As the story notes, Council will still proceed with voting on layoffs tomorrow, as this is part of the budget work. My guess is that this can be unwound if a suitable agreement is reached, but it’s also a bit of pressure on the firefighters, as this is where it officially gets real. I do wish the story had listed all the Council members at that press conference, if only so we can have a clearer idea of what the whip count looks like right now, but we’ll find out soon enough. News flash: Donald Trump is not very popular. Surveys the Democratic Congressional Campaign Committee recently conducted found that 41 percent of voters approved of Trump’s job performance in Texas’ 24th congressional district, where Rep. Kenny Marchant serves, while 44 percent disapproved. In Rep. Mike McCaul’s 10th district, 44 percent approved and 45 percent disapproved of the job Trump is doing. And in Rep. Chip Roy’s 21st district, 45 percent approved and 48 percent disapproved. Trump carried all three suburban seats by ten points or fewer during the 2016 presidential election. To flip these traditionally GOP seats, Democrats say they are relying on moderate Republicans who have soured on the Trump-led party, as well as minority voters who have become a larger share of the electorate. The DCCC’s polling, for example, showed Marchant’s district has increased its African American population by 26 percent between 2010 and 2016 among citizens of voting age. The Hispanic population rose by 29 percent, and the Asian population by 42 percent. The Democratic polling showed that Marchant was viewed favorably by 26 percent of voters and unfavorably by 19 percent, while 55 percent didn’t know enough to have an opinion. For McCaul, 31 percent viewed him favorably compared to 14 percent who viewed him unfavorably. As for Roy, 28 percent viewed him favorably and 19 percent viewed him unfavorably. The DCCC conducted the surveys using a mix of live and automated calls from April 3-6 (the poll in the 21st district was in the field April 4-6). The 10th district and 21st district polls had a margin of error of +/- 4.9 percentage points, while the 24th district poll had a margin of error of +/- 4.6 percentage points. See here for 2018 numbers. As discussed, Trump’s 2016 number in the district was a decent predictor of the Beto number in 2018, though that was always at least a bit higher than the Dem Congressional number. The bottom line is that the worse Trump is faring in the district, the harder it’s going to be for the Republican Congressional incumbent, especially with these three CDs on the radar from the beginning. I hope we get to see similar results from other districts (yes, I know, it’s possible other districts were also polled but those numbers weren’t as good so these are the only ones we get to see). I have a feeling that there will be plenty of data to hang our hats on this cycle. Democrat Candace Valenzuela, a 34-year-old Carrollton-Farmers Branch school board member, is launching a campaign Monday against Texas GOP Rep. Kenny Marchant, one of the party’s top targets in 2020. She will face an uphill battle for her party’s nomination in Texas’ 24th district, where several high-profile Democrats are eyeing the race. The suburban north Texas seat has long been a conservative stronghold, but the region’s rapidly changing demographics have recently made it more competitive. Valenzuela, whose mother is Mexican-American and father is African-American, hopes to capitalize on that in her bid against Marchant, a seven-term congressman who narrowly beat a poorly funded opponent in 2018. “We have a lot of folks moving into this area to live and go to work, this district isn’t the same as it was five-ten years ago,” Valenzuela said. Valenzuela won her first and only election by defeating an 18-year incumbent on the school board of trustees in 2017, saying she wanted to add diversity to a panel did not match the student population. Other candidates gearing up for the Democratic primary in the 24th district include Kim Olson, who ran unsuccessfully for state Agriculture Commissioner last year, Jan McDowell, the Democratic nominee against Marchant in 2016 and 2018, and Will Fisher, an attorney who ran unsuccessfully for the Democratic nomination in Texas’ 26th district last cycle. See here for more on Olson’s entry. With the contested primaries now here and in CD22, I was wondering where things stood in comparison to 2018. In CD07, the field had begun to fill out in early April, with Jason Westin being the first of the candidates that raised significant money to enter. Alex Triantaphyllis entered in early May, with Laura Moser and eventual winner Lizzie Fletcher joining in mid-May. In CD32, Colin Allred was an early entrant, in late April. CD10 – 2018 candidate Mike Siegel is in. 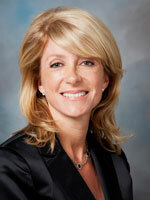 CD21 – Joe Kopser will not run again, but Wendy Davis is giving it a look. CD23 – 2018 candidate Gina Ortiz Jones is giving all indications that she’s in, though she has not yet made an official announcement. CD31 – MJ Hegar is being urged to run for this again, but she is currently looking at the Senate race. I have no idea who else might be looking at this one. CD02 – Elisa Cardnell is in, and it sounds like Todd Litton is not going to make another run. CD03 – No idea yet. CD06 – No idea yet. CD25 – No idea yet. That’s what I know at this time. I’ll be looking at the Q1 finance reports in the next few days, which may reveal some other names. If you know of more candidates, leave a comment and let us know. UPDATE: Somehow, I managed to overlook CD22, where Sri Kulkarni and Nyanza Moore are in the race. A state district judge on Thursday ordered the city, the Houston Professional Fire Fighters Association and the Houston Police Officers’ Union to enter into mediation as they seek to resolve lingering differences over the implementation of Proposition B, the measure granting firefighters the same pay as police of corresponding rank and seniority. Judge Tanya Garrison of the 157th Civil District Court ordered the mediation after hearing arguments in a lawsuit seeking to invalidate the pay parity amendment. During the hearing, Garrison said she would not issue a ruling on the case “any time soon,” concluding it would only set back ongoing negotiations to phase in firefighters’ Prop B-mandated raises. “If I make a decision on this one way or the other … it will be the equivalent of throwing a bomb in the middle of the attempts to negotiate a resolution,” Garrison said. The judge gave the parties until noon Monday to agree on a mediator. The court would appoint a mediator if they cannot settle on one. The mediation is mandatory but not binding. The mediator may suggest ways to resolve the dispute but cannot impose judgment, according to a list of rules attached to Garrison’s court order. If the parties do not voluntarily agree to a settlement, the issue returns to Garrison. See here, here, and here for the background. As long as the mediator isn’t Tony Buzbee, I’m sure it will be fine. As a reminder, City Council will vote on the layoff plan on Wednesday (the agenda item was tagged last week), so perhaps that will provide some incentive to make things happen. In other news, the city provided financial data that the firefighters’ union had been demanding, though whether that will settle that argument or be the cause of further arguments remains to be seen. A number of West Houston political insiders are abuzz at the prospect that Pierce Bush, the Houston-based CEO of Big Brothers Big Sisters Lone Star and member of the storied Bush family, might run for the Congressional seat currently occupied by Democratic U.S. Rep. Lizzie Pannill Fletcher. The 7th Congressional District has significant history in the Bush family: It’s the seat Pierce Bush’s grandfather, the late President George H.W. Bush, represented in the late 1960s. “Over the past few months, I have been flattered by many people in Houston who have reached out and encouraged me to run for this seat,” Pierce Bush said in a statement to The Texas Tribune. “I am currently putting my heart and soul into my role as CEO of the largest Big Brothers Big Sisters agency in the country. It’s a nice statement, and it sounds sincere, but let’s face it, if you are running as a Republican in 2020, you are running with Donald Trump as your running mate. There’s no way around it. Trump himself would have it no other way, and for that matter neither would every other elected Republican in Texas. There may come a time when a Pierce Bush could run as a Republican while talking about “big tents” and “discussing important matters”. That time is not 2020. There is already a high-profile Republican candidate in the race: Wesley Hunt announced his challenge to Fletcher earlier this month. A West Point graduate, Hunt is politically connected locally and nationally. Upon his entrance into the race, U.S. House Majority Leader Kevin McCarthy highlighted Hunt’s candidacy in a memo to donors. Former Bellaire Mayor Cindy Siegel announced her run earlier this month as well. See here for more on Hunt. Both Wesley Hunt and Cindy Siegel sound like they’d be decent candidates, in another time and without the stink of Trump on them. Doesn’t mean they couldn’t win in 2020 anyway – it will surely be a close race, though Rep. Fletcher’s five point win in 2018 well outpaced all the public polls – but I’m hard pressed to imagine a scenario where 2022, with (gods willing) a Democratic President in office and after the Lege does its thing in redistricting, wouldn’t be far more inviting. Mayor Sylvester Turner told the Houston fire union Monday he would provide it with financial data leaders requested, a sign of progress at a critical point in negotiations between the mayor and union to phase in Proposition B raises for firefighters. Officials from the Houston Professional Fire Fighters Association have asked Turner to open the city’s books, allowing firefighters to verify that the mayor’s offer to phase in the pay raises over multiple years honors the terms of the charter amendment, which requires the city to pay firefighters the same as police of corresponding rank and seniority. Turner’s refusal to do so has been a key sticking point preventing a deal, union President Marty Lancton said. The development comes two days before Houston city council is scheduled to consider a measure to lay off 220 Houston firefighters, which Turner has said is necessary to offset the cost of pay raises if Prop. B is not phased in over multiple years. Fire Chief Sam Peña said he was “encouraged” by Monday’s talks, even if they did not produce immediate results. “Anytime we’re sitting at the table and having a conversation is progress,” he said. Peña said he was not sure whether Wednesday’s scheduled council vote would be delayed, but the department is moving ahead with implementation of Prop B anyway. “The process needs to move forward, because the books do need to be balanced by the end of the fiscal year” in June, he said. Among the biggest changes Peña has sought is a switch from a four-shift work schedule for firefighters to three. Currently, firefighters work 20 24-hour shifts every 72 days, with occasional extra shifts for which Peña has said there is a high absentee rate. The new, three-shift model would give firefighters regular days off. Peña said he was considering that switch even before Prop B’s passage as a way to save money that could be reinvested in fleet upgrades, among other things. Now, he said, it is about maintaining public safety while confronting HFD’s roughly $25 million share of Prop B’s annual costs. The proposal headed to council on Wednesday shows that most of the staff reductions would come from firefighters, engineers and captains, though Pena said that absent any phase-in agreement, some employees could be demoted instead of having their positions absorbed through attrition. See here for the background, and here for Mayor Turner’s letter. According to KUHF, the firefighters’ union tentatively agreed to the 3.5-year phase-in idea, though it sounds like there may still be sticking points as Mayor Turner is not saying that will eliminate layoffs – he’s been clear about needing a five-year plan for that – but merely reducing them. Like I said, we’ll see. In the meantime, 47 city employees who had nothing to do with foisting a large new budget item on us received their layoff notices late last week. I personally find that to be the most upsetting part of this whole saga. Just so we’re all clear, the stupid revenue cap prevents the city from raising taxes to pay for Prop B, and the city charter mandates a balanced budget. That’s why layoffs are inevitable barring a sufficiently slow phase-in. It was true (and communicated) before Prop B was ratified, and it remains true now. I expect the primary season for the other competitive Republican-held Congress districts to be busy, and so it begins. Lawyer Nyanza Moore plans to officially announce her candidacy Sunday for Texas’ 22nd Congressional District, where she plans to seek the 2020 Democratic nomination for the seat currently held by U.S. Rep. Pete Olson, R-Sugar Land. “My personal story is rooted in faith, guided by progressive values, and fueled by the will to overcome tragedy,” Moore said in a statement. In a news release, Moore focused heavily on health care, recalling financial challenges when both of her parents were diagnosed with cancer, and when her sister once went into a coma. She connected the topic to Olson, contending he has “repeatedly voted to take away health care” from constituents. Moore’s announcement comes the weekend after Democrat Sri Kulkarni launched his second campaign for the seat. Kulkarni was the district’s Democratic nominee last cycle and came within five points of unseating Olson. See here for Kulkarni’s announcement, which notes that there is also a third potential contender out there as well. CD22 drew five Dem hopefuls in 2018, when it was an interesting but more remote possibility that wasn’t on the national radar. It’s very much on the radar now, which I suspect will increase the level of interest, even with Kulkarni showing himself to have been a strong candidate and good fundraiser. This is as good an opportunity as you’re likely to get and you miss all the shots you don’t take, so if you think you’ve got what it takes, why not give it a go? Nyanza Moore’s webpage is here and her Facebook page is here. As always, I’ll be looking forward to seeing the campaign finance reports. National Dems really are serious about competing in Texas next year. National Democrats are ratcheting up their Texas offensive yet again ahead of 2020. The chairwoman of U.S. House Democratic campaign arm announced Tuesday morning that her committee will open a new satellite office in Austin. The move replicates the committee’s 2018 California playbook, when the Democratic Congressional Campaign Committee had a substantive, on-the-ground presence in the Golden State and flipped seven U.S. House seats there. The DCCC previously announced a national offensive effort for the 2020 elections that would install staffers in the Dallas, Houston, Austin and San Antonio suburbs. Monday’s announcement takes that initiative a step further, opening a central office in Austin with eight staffers including Texas Democratic operatives Roger Garza and Michael Beckendorf. Back in 2017, the DCCC’s decision to open an office in Orange County – the home of President Richard Nixon – was met with skepticism. Democrats swept the county, picking up four seats and won three others to the north in Los Angeles County and in the San Joaquin Valley. As for Texas Republicans, there are mixed emotions about this kind of spending and rhetoric. A number of Republican insiders working in the state look back at the 2018 midterms as a perfect storm with Democrats benefitting from a uniquely talented standard-bearer in former U.S. Rep. Beto O’Rourke running against a polarizing incumbent in U.S. Sen. Ted Cruz, and a statewide burst of organic enthusiasm that may already be subsiding. But other Texas Republicans are anxious about the U.S. House map. Many of the concerned conversations are happening in private, but the Republican Party of Texas has been eager to ring the alarm and raise money off of these kinds of DCCC announcements. Roger Garza is a Facebook friend of mine, and he worked on Rep. Colin Allred’s successful 2018 campaign. I approve of his hire. I mean, we all know the story here. There’s a lot of action, and a lot of potential pickups for the DCCC in these locations. We saw what can happen last year, and there’s no reason to believe it can’t happen again this year. Buckle up, it’s going to be a wild ride. This comes up all the time, for both parties. It’s way overblown. Democrats are closer than they’ve been in decades to winning statewide in Texas. But a looming clash between two of the party’s top prospects could blow their shot. A pair of prominent Democrats — Rep. Joaquín Castro and MJ Hegar, a veteran who narrowly lost a House race last year —are seriously considering Senate campaigns, and a potential showdown between them is already dividing the party over who is best positioned to challenge three-term GOP Sen. John Cornyn. Neither Hegar nor Castro has announced they’re running, but both have met with Minority Leader Chuck Schumer (N.Y.) to discuss it. And both have prominent Democratic supporters convinced they represent the party’s best option to turn Texas blue. But a divisive primary would likely leave the eventual nominee damaged and cash-depleted, making the uphill climb to unseat Cornyn that much steeper. So far in the Senate race, Hegar appears to be moving faster than Castro. She met with Schumer in New York in early March, right after O’Rourke announced he would forgo another campaign to run for president instead. Hegar wrote an email to supporters last week that she was “taking a very close look” at running for the Senate race and said the incumbent had shown a “complete lack of leadership” in Washington. Her timetable for an official announcement is not yet clear, but one source familiar with Hegar’s thinking said she remains “full steam ahead” on the race. Castro’s intentions are less clear, according to conversations with more than a half-dozen Democrats in Washington and Texas. Castro met with Schumer last week to discuss the race, according to multiple sources familiar with the meeting. Texas Monthly published a story last month quoting a source familiar with Castro’s thinking that he was “all but certain” to enter the race, which many Democrats interpreted as a hint an announcement was imminent. But Castro has not publicly signaled what his plans are in the weeks since, leaving most Democrats uncertain if he will run — and some frustrated by his indecision. “I’m going to kill him,” said one source close to Castro, exaggerating for effect to relate his frustration over the congressman’s equivocation. Hegar and Castro both have significant allies pushing for them to enter the race. Leaders at EMILY’s List have called for a woman to run in Texas, and Latino Victory Fund has launched a draft effort to push Castro into the race, including endorsements from four members of the state’s congressional delegation. Some top Democrats, however, argue a primary would actually be helpful, allowing candidates to sharpen their messages and introduce themselves to a wider set of voters. Other Democrats are more nervous about the prospect. A contested primary would rob the candidates of months of time to focus solely on Cornyn and would drain resources in an extremely expensive state. The primary is in early March, earlier than any other state, and would allow ample time to pivot to the general election. See here, here, and here for some background. Clearly, I need to revisit my assumption that Castro would have a clear path to the nomination if he declared his intention to run. The main inference to draw from this is that a lot of people really think Cornyn is beatable in 2020, in a way that basically nobody outside of Beto O’Rourke at this time in 2017 thought Ted Cruz was beatable. I mean, it seems obvious, but this is well beyond just putting one’s name out there. Castro, as noted many times, has a safe seat in a majority Democratic Congress, four terms of seniority, and is already a leading voice in that chamber. Hegar could let Castro run and ride his likely coattails, DCCC support, and her own strong campaign experience to as good a shot at winning CD31 as one could want. Amanda Edwards could cruise to re-election this fall, and then be in good position to run for Mayor in 2023. All three of them are willing to give it up for a chance to run statewide, even if they have to go through one or more other strong Democratic contenders in a primary. You don’t do that if you don’t have a firm belief you can win. So what about it then, if two or three of them (plus the assorted minor candidates) meet in the primary? I see that as largely, almost entirely, positive for the reasons cited by “some top Democrats”. Nothing will get the candidates started earlier on engaging voters, raising money, pushing registration efforts, and so on like the need to win an election in March. Money spent on voter outreach in March is still money spent on voter outreach, and I’d argue there’s even more value to it early on. Sure, it could get nasty, and sure, people get tired of family fights when they have to go into overtime, but that’s a risk worth taking. I feel like I see this kind of hand-wringy story written about potential contested primaries in both parties every time they come up, and most of the time it makes no difference in the end. As I’ve said before, my main interest is in having a strong contender in every possible race, so to that end I’d prefer to see Hegar try again in CD31. But beyond that, come in whoever wants to come in. Let the best candidate win, and we’ll go from there. Is there a city/firefighters agreement in the works? They’re talking, for whatever it’s worth. Officials from the Houston Professional Fire Fighters Association said Friday they would seek union members’ approval of a 3.5-year phase-in of Proposition B if the city meets certain conditions. After meeting with the union to discuss the terms, however, Mayor Sylvester Turner released a statement saying the provisions were “not consistent” with discussions held at the meeting. “We said it implicitly and explicitly,” Lancton said. The mayor acknowledged the union delivered a copy of the letter, but accused Lancton of publicizing it before the meeting. Lancton also said this was untrue. Aside from the no-layoff guarantee, union officials said any phase-in agreement would have to be ratified through a collective bargaining agreement. Lancton also said Turner’s administration must provide the firefighters with “complete access to city financial and budget information” and implement “complete parity,” including base and incentive pay, with Houston police officers. The two sides were scheduled to meet again next week before Houston City Council considers a measure at its Wednesday meeting that would authorize 220 firefighter layoffs. See here for the latest update. I mean, maybe they’ll hammer something out and maybe they won’t. Deadlines have a way of focusing the mind, especially when layoffs are on the other side. I’ll reserve judgment about what may or may not be involved until there’s a resolution, but I will say this: Very early on in this process, Mayor Turner’s position was that Prop B had to be implemented all at once, there was no legal path to negotiating a phase-in. Everyone seems to have forgotten about that, which in and of itself doesn’t bother me too much since I like the idea of phasing it in regardless. But if this is true, then all it will take is someone filing a lawsuit to screw this all up. Let’s worry about that another day, as it’s not a thing until and unless a phase-in deal is ratified. There’s plenty of trouble here already without borrowing more. The great 2020 candidate shuffle continues. Wendy Davis says she is not running for U.S. Senate in 2020 and instead is considering a bid for the U.S. House. “I’m looking very seriously at Congressional District 21,” the former Democratic nominee for governor said in a new podcast released Friday, referring to the traditionally Republican district that Democrats came close to flipping last year. 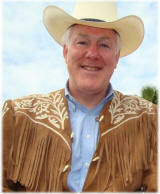 Davis, also a former state senator, had mulled whether to take on U.S. Sen. John Cornyn, R-Texas. But in the podcast, “The Rabble: TX Politics for the Unruly Mob,” Davis made clear she is no longer weighing a Senate campaign and reiterated her call for U.S. Rep. Joaquin Castro of San Antonio to enter the race. “There’s a reason I made a decision not to run for this Senate seat against John Cornyn,” Davis said on the show, which was taped Thursday. “I’ve been very candid about the fact that my dear friend Joaquin Castro is someone that I’d like to see run. See here for some background. According to the story, Joseph Kopser, the 2018 candidate who came with four points of winning in CD21 and who also briefly flirted with running for Senate, has decided to sit out 2020. That leaves the need for a good candidate in CD21, and Wendy Davis would fit that bill nicely. She’d make for a great contrast with freshman Rep. Chip Roy, a former minion of both Ken Paxton and Ted Cruz who is doing his level best to achieve Lamar Smith levels of badness in his first term. I’d previously suggested CD25 for Wendy, but all things considered this would be best. I’m rooting for it. Texas Democrats are launching a multimillion-dollar initiative to help take down U.S. Sen. John Cornyn, R-Texas, regardless of who they ultimately choose as their nominee next year. Emboldened after their gains in 2018 — including the closer-than-expected Senate race between U.S. Sen. Ted Cruz and Beto O’Rourke — the state party is establishing a “Cornyn War Room” to “define Cornyn before he defines himself,” according to a memo. It is unlike anything the party has done in recent history surrounding a U.S. Senate race, and it reflects the urgency with which Texas Democrats are approaching a potentially pivotal election cycle. The offensive has five fronts: digital, communications, messaging and polling, research, and data and targeting. There will be staff dedicated to the project and coordination with affiliated groups, county parties and activists. The memo says the effort is “funded, in part, by record-breaking fundraising, including the most successful February totals in Texas Democratic Party history.” The memo does not specify the figures. Several prominent Democrats are considering challenging Cornyn, perhaps most notably U.S. Rep. Joaquin Castro of San Antonio and former congressional candidate M.J. Hegar, who said Tuesday she is “taking a very close look” at the race. Three lower-profile Democrats have already declared their candidacies. With no disrespect intended to MJ Hegar, just as it was my assumption that the Senate race was Beto’s if he wanted it, it is now my assumption that it’s Joaquin’s if he wants it. Doesn’t mean anyone else has to agree with that, just that I’d expect the establishment – most of it, anyway – would fall in line with Joaquin if he follows through on his reported interest in the race. Some people are already in line, they just need Joaquin to get to the head of it. My guess is that Hegar’s “close look” is at least one part a “just in case Joaquin doesn’t run” contingency. Someone has to get to the front of that line, after all. But she might jump in anyway, and if she does she’d be formidable, and might put Joaquin on the spot. My advice to him would be to make his mind up quickly. Easy for me to say, I know, but still. The polls in question don’t really mean much – the “essentially tied” poll tested Cornyn versus Beto, not Cornyn versus anyone else or Cornyn versus a generic Dem – but compared to what we’re used to, they’re not bad at all. The bottom line is that the conventional wisdom at this time is that Texas will be competitive in 2020. I don’t know about you, but I feel like I need to sit down every time I say that. We are in exciting times. What the rest of this means remains to be seen. Beto’s campaign in 2018 was singular, and I have no idea how much of it is foundational to this effort. Be that as it may, this is the sort of thing that a viable, competitive statewide party needs to be doing, and having the resources for it is fantastic. I’ll be keeping an eye on this. See the TDP statement for more. The city has sent pink slips to 67 Houston Fire Department cadets, the first documented layoffs resulting from Mayor Sylvester Turner’s plan to implement Proposition B. The trainees will remain employed through June 7, according to a copy of the layoff notices sent to cadets. “The City of Houston has experienced a sizable budget shortfall due to the implementation of Prop B,” the layoff notices read, referring to the charter amendment passed by voters last November. The measure requires the city to pay firefighters the same as police of corresponding rank and experience. Voters approved Prop B by an 18-point margin. “I want to assure you that the elimination of your position was a business decision and does not reflect your work performance or the value we place on your service to the City,” the layoff notices, addressed from Fire Chief Sam Peña, also read. Next week, 47 municipal employees will receive layoff notices, Turner said in a statement, while city council will vote April 17 on whether to lay off classified firefighters under the mayor’s plan to pay for Prop B-mandated raises. His plan for implementing the raises prompted by Prop B, unveiled last month in talks with city council members, calls for the fire department to decrease its head count by 378 for the upcoming fiscal year, including layoffs. Turner’s plan also calls for all city departments to cut their spending by 3 percent, which is expected to lead to the layoff of about 100 municipal workers. In recent weeks, the mayor has said no layoffs would be needed if the raises required by Prop B could be phased in over four or five years. See here, here, and here for some background, and here for the city’s statement. It will be interesting to see how Council handles this when it comes time to vote. Other than Dwight Boykins, it’s not clear to me who’s with the firefighters on this. This will certainly provide some clarity. As far as a phase-in period goes, if the city says “give us five years and we can avoid layoffs”, while the firefighters say “no, but we can go for three years”, I confess I don’t quite understand why some kind of deal can’t be reached. Maybe that’s just me. For what it’s worth, nothing has to be set in stone till Council votes on the budget. There is still time for an agreement to be reached. How likely that is, I have no idea. But at least theoretically, it could happen. 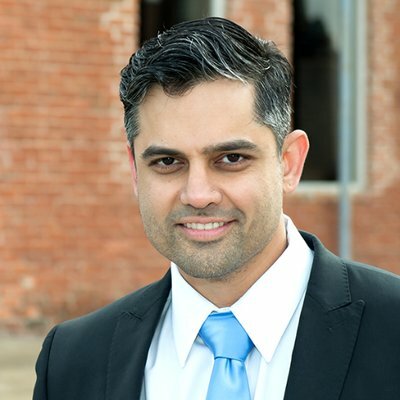 Democrat Sri Kulkarni, an ex-foreign service officer who last year came within five points of unseating U.S. Rep. Pete Olson, announced Thursday he is challenging the Sugar Land Republican anew in Texas’ 22nd Congressional District. Making his first run for office in 2018, Kulkarni drew attention by repeatedly out fundraising Olson and forming a multilingual campaign team to take aim at the district’s highly diverse population. He ultimately lost by more than 14,000 votes, or about 4.9 percentage points. To bridge the gap, Kulkarni said his efforts will largely revolve around registering new voters in the district, where he has identified roughly 70,000 unregistered residents who are eligible to vote. Kulkarni also intends to reach more low-propensity voters this cycle, he said, and harness lingering energy from his prior campaign by jumping in only five months after the November midterms. Before he can set his sights on Olson, however, Kulkarni must first get past the Democratic primary, where he already faces two opponents. Nyanza Moore, a Fox 26 political commentator, and Joe Walz, an Army veteran, each are seeking the Democratic nomination. Whoever emerges to face the Republican nominee will likely begin with better odds than Kulkarni did in 2018. Viewed for years as a longshot for Democrats, the district has made it onto the Democratic Congressional Campaign Committee’s 2020 battleground map, an early indication that national Democrats are willing to put resources into flipping the seat. There’s definitely room to grow in a district that wasn’t at all on the national radar last year, but got more attention as the situation in Texas became clearer. I suspect that the promise of DCCC support for CD22 is contingent on Kulkarni winning the primary, as he has proven himself to be a strong candidate, though if one of the other two beats him I’m sure they’ll get a chance to prove themselves as well. With all due respect, I’d prefer Kulkarni, as would a number of elected officials and other party figures who have endorsed him. I’m looking forward to reviewing the FEC reports for Congressional candidates again. I mean, what did you expect? The Houston Fire Department would idle six to nine fire trucks and employ fewer firefighters per shift, risking a modest increase in response times, if City Council approves a $25 million reduction in HFD’s budget as part of Mayor Sylvester Turner’s plan to fund Proposition B, Fire Chief Sam Peña said. Shrinking the department through a combination of attrition and layoffs would mark the first tangible citywide impact of the Prop. B pay parity referendum, creating a difficult choice for City Council members who must approve a balanced budget by June 30 but also risk being accused of undermining public safety during an election year. To absorb its portion of the cut — $25 million — the fire department will need to reduce its head count by 378, Peña said, noting that the figure includes employees lost to retirement, resignation and other factors aside from layoffs. HFD typically loses 150 to 160 firefighters annually through attrition, though Peña said he expects that number to rise this year amid the turmoil of Prop. B’s implementation, leaving perhaps 200 or fewer firefighters to receive pink slips. The city’s fiscal year 2019 budget accounts for 4,090 firefighters. Service reductions could be avoided, Peña said, if the city and fire union agree on a way to phase in the pay raises over multiple years. Peña also said he could maintain current levels of service by cutting only 239 positions. A personnel reduction of that amount would save $15.8 million — about $9 million short of what Turner has directed Peña to cut. Campos has been saying that we should not be in this mess. Here’s a crazy idea: What if – stay with me here – what if Prop B was a bad idea that never should have been put on the ballot, and never should have been approved once it was put on the ballot? What if the reason we’re in this mess is because the voters approved a costly annual expenditure for which no price tag was attached or means of funding was provided? Let’s try a thought experiment. 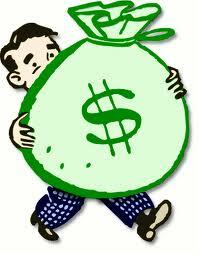 Suppose Prop B, instead of being what it is, mandated that every firefighter be paid a million dollars a year. What do you think the city’s response would be if that happened? I’m going to suggest they’d do what they’re doing now, which is trying to reduce the obligation so the budget can be balanced, as is mandated by charter. I’m sure people wouldn’t like that solution, but what other options are there? My example is ridiculous, but only in degree. The underlying problem remains the same: This is a large budget item that was imposed on the city. The city cannot raise revenues beyond the limits of the revenue cap. Cutting costs was and is the only option. We can’t go back and redo Prop B. It passed, and the city has to implement it. Mayor Turner said it was a cost the city couldn’t afford, and that if Prop B passed it would lead to layoffs. He was quite clear about what would happen. Why is this a surprise? They have to be beaten at the ballot box. There’s no other way. On the South steps of the Texas Capitol, state Rep. Briscoe Cain prayed that the children standing beside him would not be mocked for their parents’ decision not to vaccinate them. On Thursday, more than 300 anti-vaccination advocates and their children rallied with Texans for Vaccine Choice to support bills filed by a handful of state lawmakers that would require doctors to provide families with both the “benefits and risks of immunization,” and make it easier to opt out. Statewide data shows a steady rise in children whose parents have claimed conscientious exemptions from vaccine requirements. In 2018, 76,665 individuals requested affidavits for the exemption, an 18.8-percent increase over 2017, and a 63.8-percent increase since 2014, according to the Texas Department of State Health Services. 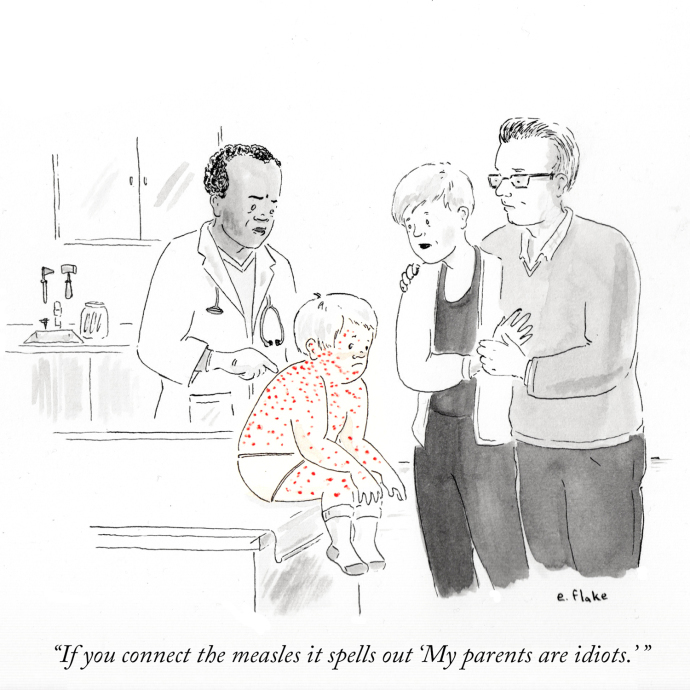 As the movement grows, Texas has seen a series of outbreaks of infectious diseases that were thought to have been virtually eliminated in the U.S.
Jonathan Stickland, HD92, won in 2018 by a 49.8% to 47.4% margin, in a district where Beto O’Rourke got 48.3% of the vote. Matt Krause, HD93, won in 2018 by a 53.9% to 46.1% margin, in a district where Beto O’Rourke got 48.2% of the vote. Bill Zedler, HD96, won in 2018 by a 50.8% to 47.2% margin, in a district where Beto O’Rourke got 49.5% of the vote. 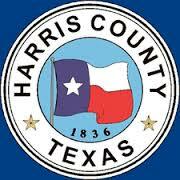 I wish I could make a case for Briscoe Cain’s vulnerability, but alas, he’s in one of the two most Republican districts in Harris County. Still, take those three out and you’ve really weakened the anti-vax core. You want to see fewer kids get easily preventable diseases in Texas? There’s your starting point. There’s a fairly simple reason for this disconnect. There are a significant number of people (read: Republicans) who say they support things like red flag laws and mandatory sick leave, but still vote for politicians who oppose them. Part of that is partisan identity, but mostly it’s because those voters agree with those politicians on other issues that are more important to them, or conversely disagree with Democrats on other issues that matter more to them. There may come a time when these people’s priorities shift – I’d argue the 2018 election was one such time, as we have discussed – but until then this is what we get. As is usually the case, until someone loses an election because of this, nothing much is going to change. I feel like they were a little slow getting off the bench, but the business lobby is back warning about anti-equality bills lurking in the Lege, mostly but not entirely in the Senate. In the spring of 2015, 80 companies and business groups banded together to create Texas Competes, a coalition with something of a novel mission: It would make the “economic case for equality,” fighting discriminatory proposals and convincing the state’s business-friendly leaders that doing what they considered the right thing for LGBTQ Texans was also the smart play economically. This year, the group’s membership has swelled above 1,400 organizations and counts among its ranks dozens of Fortune 500 companies, including Amazon, Google and Facebook. The group and its allies are now flexing that muscle to combat legislative proposals the business leaders consider threats to their economic success due to the disparate impacts they would have on Texas’ LGBTQ communities. That opposition infrastructure was on full display Wednesday afternoon as a slate of business leaders, including representatives of Texas’ burgeoning tech industry and tourism officials from some of the state’s biggest cities, detailed their opposition to two priority Senate bills at a Capitol press conference that came alongside an open letter to state leaders. Perhaps the group’s biggest success was the failure last session of a “bathroom bill” that would have restricted transgender Texans’ access to certain public facilities. This year, many groups have argued, proposals that may have seemed more innocuous at first blush would create “a bathroom bill 2.0” situation. “It’s always been about more than bathrooms because a welcoming, inclusive Texas is a 21st century economic imperative,” said David Edmonson, Texas director for TechNet, a coalition of tech companies committed to inclusivity. At issue this week are two bills that have been tagged as priorities for the lieutenant governor. One, Republican Sen. Brandon Creighton’s Senate Bill 15, was at its start a relatively uncontroversial measure aimed at gutting mandatory paid sick leave ordinances in cities like Austin and San Antonio. But the bill was rewritten before it passed out of committee, and protections for local nondiscrimination ordinances were stripped out. Although the new version of the bill doesn’t explicitly target LGBTQ Texans, advocacy groups immediately raised alarm bells about the shift. The other bill, Republican Sen. Charles Perry’s Senate Bill 17, would protect professional license holders from losing their licenses for conduct or speech they say was motivated by “sincerely held religious beliefs.” Advocates and business leaders say the bill would grant huge swaths of Texas employees a “license to discriminate” against LGBTQ communities. The authors of both bills insist that they are not discriminatory measures, and Republican Lt. Gov. Dan Patrick has defended them as well. Both have advanced out of Senate committees, but neither has come to the floor for a vote. See here for some background, and here for more on SB17 passing out of committee. I will note here that we were assured all through the 2017 session that the bathroom bill was in no possible way discriminatory against anyone, so I see no reason to take the assurances that these bills are not discriminatory with any seriousness. The one sure path to not passing discriminatory laws is to not pass laws that people who have historically been discriminated against say will be discriminatory to them. After last session’s months-long slog to prevent any version of a bathroom bill from being passed into law, business leaders have kept in close touch with one another — and kept a close eye on the bills they consider discriminatory. That broad coalition grew in January 2017 with the formation of Texas Welcomes All, a group including tourism officials and visitors bureaus that came together with the explicit goal of opposing the bathroom bill as the Legislature geared up for a fight over the issue that would span several months. After having its mettle tested in 2017, that vast network can mobilize quickly, as it did this week after Perry’s religious refusal bill passed out of committee. This year, she added, “we’ve been briefing our members for a year and a half on the likelihood that this kind of religious exemption or religious refusal bill could be a focus.” After a “confluence of factors,” the group decided this week was time to organize a public statement and release an open letter to state leaders. You can see a copy of that letter here. I said this often in 2017 during the height of pottymania, and I’ll say it again now: Business interests that care about a healthy, welcoming, non-discriminatory environment for the workers they want to attract and retain need to think long and hard about who they support politically. It’s not like the officeholders who file and vote for these bills came out of nowhere. They’re quite clear about what they do. It’s on all of us to listen and believe them. The DMN, which lists other problematic bills, has more. UPDATE: Some further shenanigans to watch out for. Not surprised, though I’d have thought it would get more support that this. Houston City Council disposed of a proposed garbage collection fee in a pair of 16-1 votes Wednesday. Councilman Dwight Boykins, who floated the monthly fee as a way to help offset the cost of mandated pay raises for city firefighters, was the only person who voted in favor of the idea. Most of the council’s members, including Mayor Sylvester Turner, previously had said they would not support the idea, which they called “regressive” and framed as a new tax on Houston homeowners. Members including Turner reiterated those stances Wednesday before scuttling Boykins’ proposal in two separate votes. 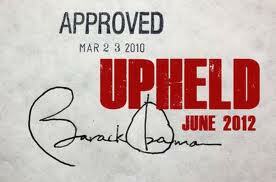 “Let me be clear: the administration is not supporting this,” he said. Boykins had offered three versions of the measure, with fees of $19, $24 and $27 a month. Council combined the two higher-rate options in one measure before rejecting it in a 16-to-1 vote. See here for the background. Like I said, I didn’t expect this to pass, but I did think there was a chance it could draw enough support to make things awkward. Clearly, that was not the case. At least now we know, there’s no option to raise revenues on the table, not that this was a good one. It’s either layoffs, as already proposed, or an agreement to phase in Prop B in a way that allows the city to absorb the costs over time. The city says that requires five years, while the firefighters have offered three. Maybe there’s a compromise, and maybe someone needs to blink, I don’t know. But this is where we are. The Chron editorial board, which opposed the Boykins plan, has more. The former AG was in town as part of his national activism on the topic. Texas is “ground zero” in a national effort launching Saturday to ensure that every American’s vote counts in upcoming elections, former U.S. Attorney General Eric Holder said in Houston this week. Holder, who led the Justice Department from 2009 to 2015 under President Barack Obama, is leading a project called “All on the Line,” ahead of the 2020 Census, focusing on a fight against gerrymandering expected with the redistricting process the following year. The meeting in Houston was a small gathering that allowed for a dynamic conversation between Holder and leaders of organizations that helped to turn out voters in the midterm elections last year. Representatives of the Texas Organizing Project, the Texas Civil Rights Project, MOVE Texas, Texas Freedom Network, Houston in Action, and Battleground Texas were among those present. Jolt, a youth organization that organized the Houston gathering, will launch “a major campaign with two different approaches,” said Amanda Rocha, the organization’s leader in Houston. One will be an online initiative focused on the importance of being counted in the Census, while the other will be “a door to door canvasing helping people understand what’s a stake and addressing their concerns,” she said. “Well, if you care about a woman’s right to choose, if you care about voter suppression, if you care about criminal justice reform, if you care about climate, if you care about health care, the expansion of Medicaid, all of these things are determined at the state level and by these gerrymandered state legislators,” Holder said. Gerrymandering is a tactic used by state legislators to draw the lines of electoral districts in a way that provides their party an unfair advantage. Holder said a redistricting process should reflect the composition of the people in the areas drawn fairly, informed by the census results. But parties sometimes draw strangely shaped lines to guarantee dominance in their district, based, for example, on its racial composition as a predictor of voting patterns. “We are trying to break up this whole gerrymandering. We want to make sure that, come 2021, we have a fair process,’ said Holder. What this comes down to is a goal for Democrats, in Texas and elsewhere, for 2020. We saw what happened following the 2010 elections when Republicans took control of state legislatures across the country, and drew districts for themselves that ensured their continued control even in closely divided states. The 2020 election is just as important, for the same reason. If you don’t have any control over the redistricting process, then redistricting is done to you, and there’s no reason to believe the federal courts as they now stand will do anything about it. The one thing Democrats in Texas can do is win control of the House. That’s a tall order, as it will take winning 20 seats, but there are lots of targets and Presidential year turnout should help. I’ve talked several times about how Republicans are going to have some tough decisions to make about redistricting in 2021, given the results of the 2018 election and the likelihood of a similar election in 2020. Protecting their incumbents will be a challenge, especially given the assumption that will need to be made about the basic partisan composition of the state. All this presumes it will be Republicans making those decisions. Give Democrats a majority in the House and the calculus changes completely. That may be the only realistic path to a non-partisan redistricting commission going forward. The point of this activism by Eric Holder, and the main thing people should take away from these meetings, is that this is a primary goal for 2020, because it will set the stage for the decade to follow. If you need a reason to get ready to work as hard in 2020 as you did in 2018, this is it. How would you implement Prop B? Here, from last week, is Mayor Turner’s official announcement about layoffs, following a failure to come to an agreement with the firefighters’ union about a time frame to fully implement Prop B. Here’s the Chron story about the firefighters protesting the layoffs, which we knew were coming – indeed, we’d known since last year, as that was one of the main points Mayor Turner made during the Prop B campaign. The Chron editorial board agrees with Turner that given the limited options available, layoffs are the only reasonable choice. Now, to be sure, there is the garbage fee proposal, which Council will vote on this week. It would, at least in theory, pay for the increased costs that Prop B imposes, though there are objections. I’ve laid some of them out – a trash fee should be used for solid waste collection, the potential for litigation is non-trivial – and I’ll add another one here: If a garbage fee is the mechanism for funding Prop B, that necessarily means that only some Houstonians are contributing to that. Anyone who doesn’t live in a house that has city of Houston solid waste service would not be subject to this fee. (At least, I assume so – it’s not clear to me how this fee will be assessed.) Maybe you think that’s a big deal and maybe you don’t, but I guarantee someone will complain about it. So the question remains, how would you implement Prop B? We all agree Prop B will cost some money to implement. The firefighters have never put a dollar figure on it themselves – they have made claims that the fire department brings in revenues that could be spent on the fire department instead of other things, which doesn’t actually solve anything but just recapitulates the argument that the city should spend more on firefighters. Raising the property tax rate is out, as it would violate the stupid revenue cap. Indeed, as we know, the city has had to cut the tax rate multiple times in recent years, costing itself a lot of revenue in the process. The basic options are a flawed fee that will charge some households up to $300 a year and others nothing, and layoffs. And if you’re going to do layoffs, the ones that make the most sense are the firefighters themselves, as the vast majority of calls to HFD are for emergency medical services and not fires – EMTs are cheaper to hire, don’t require expensive fire trucks to get to where they’re going, and aren’t in scope of Prop B. And that, barring any late-breaking agreement to implement Prop B more slowly, is what we are going to get. So then, what if anything would you do differently? I’m open to suggestion. UPDATE: Here’s City Controller Chris Brown saying the cost of Prop B is unsustainable outside an agreement to phase it in over five years, which is what the city has been pushing for. That’s always how it is, isn’t it? Despite holding the most expensive and closely-watched U.S. Senate election in the nation last year, Texas still ranked among the ten worst states for voter turnout in 2018, according to a new report on voting trends. About 46 percent of eligible Texas voters cast a ballot in the November election, up from 29 percent four years earlier, according to “America Goes to the Polls 2018,” a report from Nonprofit VOTE and the US Elections Project. While the number of voters jumped, the turnout places Texas 41st in the country for voter turnout — up from 50th in the 2014 election. The national report blames Texas’ poor ranking on a deadline that cuts off voter registration four weeks before Election Day. Most states in the bottom 15 for voter turnout require people to register to vote at least a month before the election. Most states with the highest turnout allow for same-day voter registration, according to the report. The League of Women Voters of Texas argues it’s time that the state “joins the modern age” and allows for same-day voter registration, according to an email Tuesday from the group representing more than 8,000 voters who encourage participation in government. Here’s the executive summary if you don’t want to read the full report. 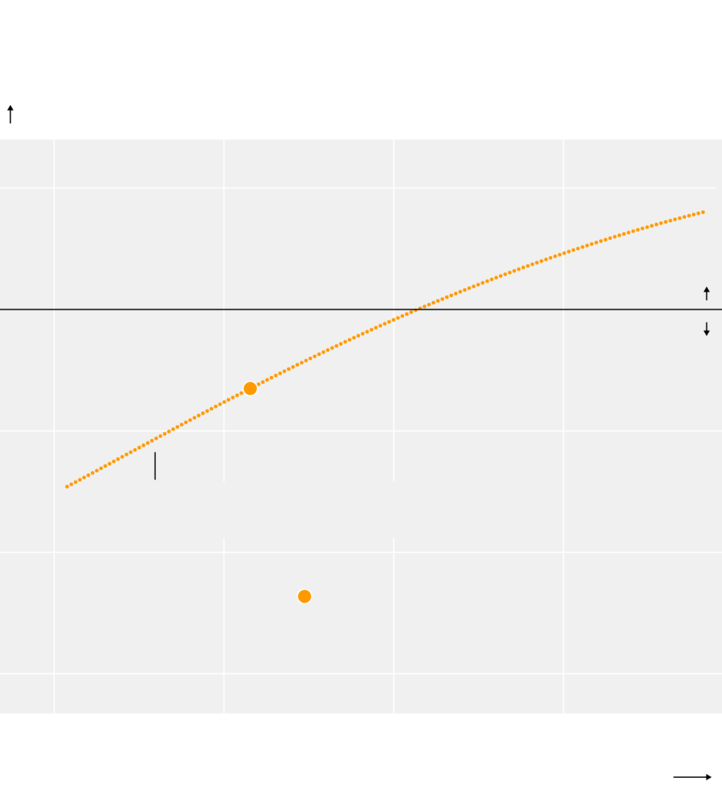 The authors do look at other factors, including voting by mail, automatic registration, and competitive elections, so while same day registration is correlated with higher turnout, it’s not the only thing. I’d suggest that voter ID laws and other barriers to voting need to be taken into account as well. Be that as it may, there is a bill in the House to enable same day registration, and perhaps surprisingly it has two Republican authors and seven more Republican co-authors. It also doesn’t have a snowball’s chance in Piedras Negras of getting past Dan Patrick and Greg Abbott. But the idea is there, and it’s bipartisan. We’ll get there eventually. The Dallas Observer has more.